Here at Honey’s Anime, we consider ourselves massive One Piece fans! We have journeyed alongside Luffy and his crew for years now as Eiichiro Oda has continued making one of the most popular Shonen Jump series in all time. That’s why when any new One Piece game is announced, you can bet we jump for joy and are ready to set sail to our nearest game store or outlet to pick it up. One Piece: World Seeker is the newest One Piece title to come out to fans and gamers set in a side story with new characters to see—like Isaac and Jeanne—and places to explore. However, is One Piece: World Seeker the best video game adaptation of the series? You can find out by scrolling down and reading our whole review of One Piece: World Seeker for yourself! One Piece: World Seeker is an open world action game where players take control of Luffy and let loose on bad pirates and enemies. Utilize Luffy’s various Gum-Gum powers as you beat down threats all while exploring open landscapes filled with treasures to find and things to do. Meet with other One Piece characters and see some new faces in One Piece: World Seeker! A brand-new adventure awaits for the Straw Hat crew and you’re about to see if for yourself! 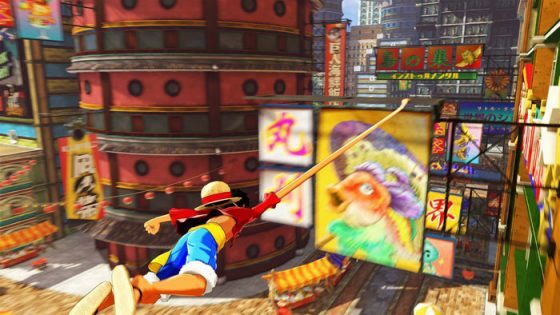 One Piece: World Seeker has players taking the reins of Monkey D. Luffy, the fearless leader of the Straw Hat crew. During their exploration of the great seas, Luffy and his pirate comrades run into Marines and despite their skills, are captured/scattered. Luffy was about to also be taken in but is able to escape to an island known as Jail Island. Luffy now has to reunite with his crew all while facing off against a new threat that will test his skills like no one else has before! Set sail on one of Luffy’s biggest journeys in One Piece: World Seeker! One Piece video games have been pretty mixed in terms of enjoyment. The Dynasty Warriors-like One Piece titles—while repetitive—were tons of fun and had hours of replayability. The various adventure games for One Piece though were mired in bland quests and weak combat. One Piece: World Seeker while not the worst of those action adventure games, suffers from a slew of problems that kept us from truly enjoying our time as Luffy in this seemingly epic quest. Let’s see what went wrong with this ambitious game in our review of One Piece: World Seeker for the PS4! 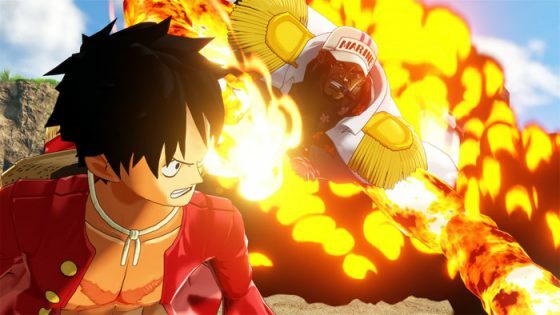 One Piece: World Seeker takes our main man Luffy and throws him into a side story of sorts. Luffy and his Straw Hat crew have been captured by the Marines and sent to Jail Island in the New World. Luckily, Luffy being the amazing pirate we love him for being, is able to escape and sets off to reunite with his pals. 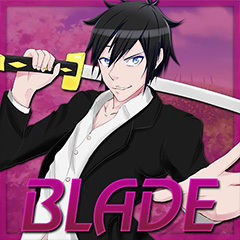 Don’t expect to play as any of the One Piece characters like Zoro, Nami, Chopper and or Nico. For the entirety of One Piece: Word Seeker, you’ll be controlling Luffy and while that should sound cool…it ends up being a rather repetitive slog. The core of One Piece: World Seeker acts as an open world action/adventure title. 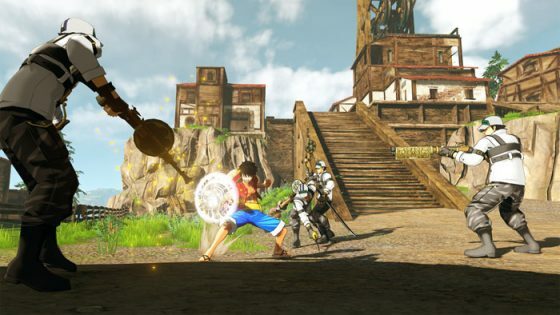 You’ll run around Jail Island and Steel City—to name a few bigger areas of the game—completing quests for citizens and helping advance the plot of One Piece: World Seeker. Immediately though, you’ll notice that while various locations have some truly wonderful visuals and areas to explore, the exploration element feels bland and dull. You’ll pick up ingredients to make armors/equipment to enhance Luffy or as a means of completing fetch quests. Often, you’ll talk to locals to gain knowledge of what’s the current affairs of the world you’re in and learn the fate of Luffy’s gang and their whereabouts. Everything about this shouldn’t seem like a bad setup for a One Piece game, but we’ve seen other One Piece games do a better job with exploration and ultimately, One Piece: World Seeker feels very boring. Also, before we rage about it later, why does it take a solid 10-15 seconds to open up chests and doors in One Piece: World Seeker!? Aside from the adventure elements to One Piece: World Seeker, you’ll also be fighting baddies and traversing various locations. Combat in One Piece: World Seeker feels…okay at best. While combat never divulges from hitting square for attacks and using the R2 as a ranged attack, One Piece: World Seeker works as an action title. Luffy being the Gum Gum user he is, can unleash a load of special attacks and abilities via two forms he has that give him speedier attacks or more hard-hitting attacks—his Busoshoku: Koka—for massive damage on enemies. Luffy can also rely on stealth attacks—don’t ask why—to insta-kill enemies who don’t see him. 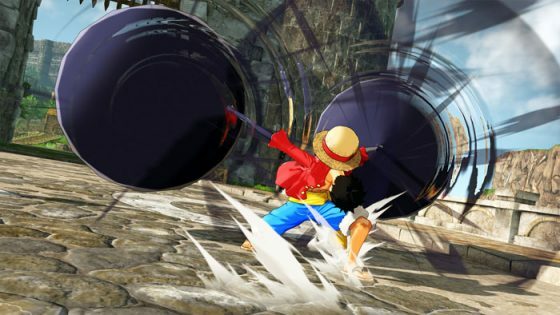 Combat gets meatier as you level up Luffy’s skills and unlock more iconic abilities but be prepared for repetitive motions for the first few hours. 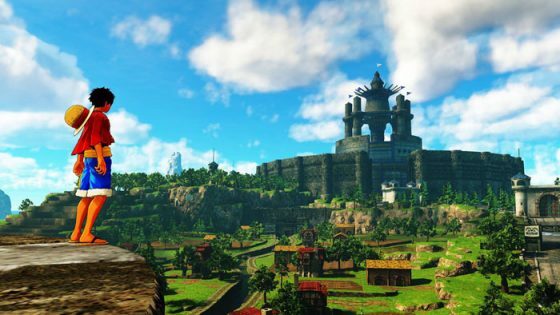 Traversing areas though never really changes as you progress through One Piece: World Seeker. You’ll run around, fly like Spider-Man and find various areas that contain treasures. Exploring One Piece: World Seeker’s world works just don’t expect much to do. If there is one positive lining about One Piece: World Seeker, it would be the visuals. One Piece: World Seeker looks amazing with environments and character models looking as if they were ripped straight from the anime series. Voice actors/actresses reprise their roles as the One Piece roster, but don’t expect them to be talking for hours in game. One Piece: World Seeker has mostly mute conversations with only big cutscenes or moments being voiced. However, just having them in One Piece: World Seeker is appreciated as we love hearing our favorite heroes/villains yell and converse. Overall, One Piece: World Seeker sounds good and looks good which helps the presentation immensely. Here’s the deal with One Piece: World Seeker. 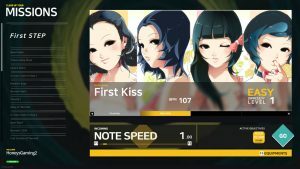 Is it a horrible game as some reviewers have been putting it? No, it really isn’t, especially if you played some of the earlier One Piece titles for GameCube and Nintendo Wii. However, One Piece: World Seeker could have been the best One Piece game had they allowed more diversity in combat, a more living/breathing world to explore and quests that didn’t feel so shallow and bland. 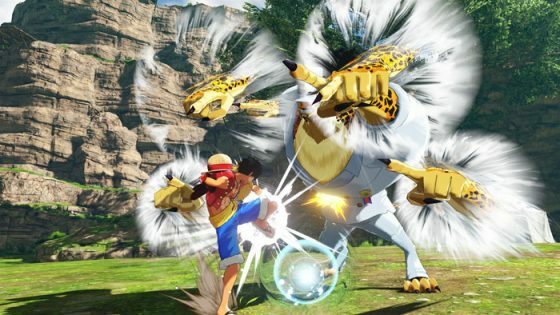 Combat, too, could have been tweaked a bit to make for more loose but freeing fights versus the sometimes-stiff experiences you’ll encounter while playing One Piece: World Seeker. If you’re a huge fan of One Piece then you were going to buy this game regardless of scores and or comments/reviews. 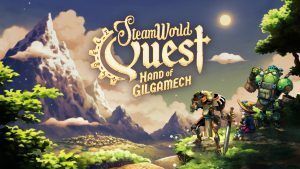 Those who wanted a bit more substance in this One Piece title will find that One Piece: World Seeker doesn’t deliver enough for a 100% recommendation. 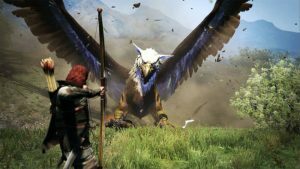 Still, we’ve played worse games as of late and One Piece: World Seeker is a sign that anime games can be done on a large scale…they just need a bit more work to them for the best result to occur. WHY DOES OPENING DOORS/CHESTS TAKE SO DANG LONG!? One Piece: World Seeker isn’t the One Piece game we wanted, but we are at least glad it’s playable. There’s a lot done almost right in One Piece: World Seeker but we hope that Ganbarion learns from their mistakes and listens to the fans/reviewers to make a possible sequel to One Piece: World Seeker a bit stronger. For now though, One Piece: World Seeker is an okay game at best but won’t be loved by all who play it. 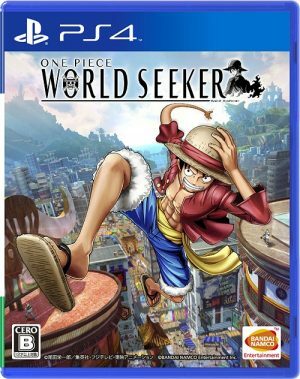 Are you playing One Piece: World Seeker or plan on getting it? Comment below to let us know! 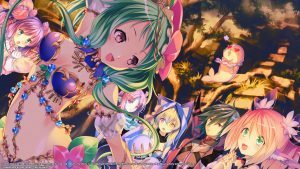 Be sure to keep stuck to our hive here at Honey’s Anime for even more video game reviews and articles!